Custom FCPOA Shirts Come Alive At Vision-Strike-Wear.Com. For over 9 years the United States Navy has collaborated with the military artists of Vision-Strike-Wear.Com because of their desire to have the finest in custom designs for their First Class Petty Officers Association. Custom FCPOA Designed by Vision-Strike-Wear.Com are among the finest in the industry because of the color, detail and originality of the designs that are crafted for the FCPOA’s. The United States Navy Sailors at the rank of First Class Petty Officers (E-5) often participate in these associations where they work together as a team to learn, advance and share information so they can prepare for the rank of US Navy Chief. While in these associations the leadership will frequently design shirts for dues paying members of the FCPOAs and that is here they contact Vision-Strike-wear.Com to have it designed. Below are examples of the military designs created by VSW and can provide ideas of the work they can create for them. 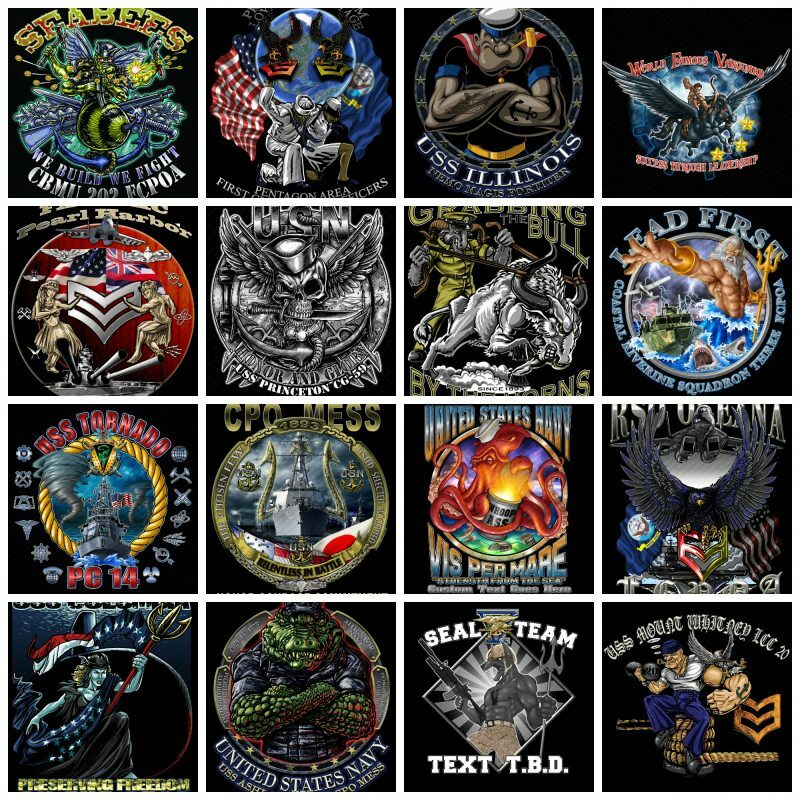 FCPOA Shirts Set New Standards When It Comes To Military Art you better believe it and when it comes to First Class Petty Officers they know great designs when they see them. 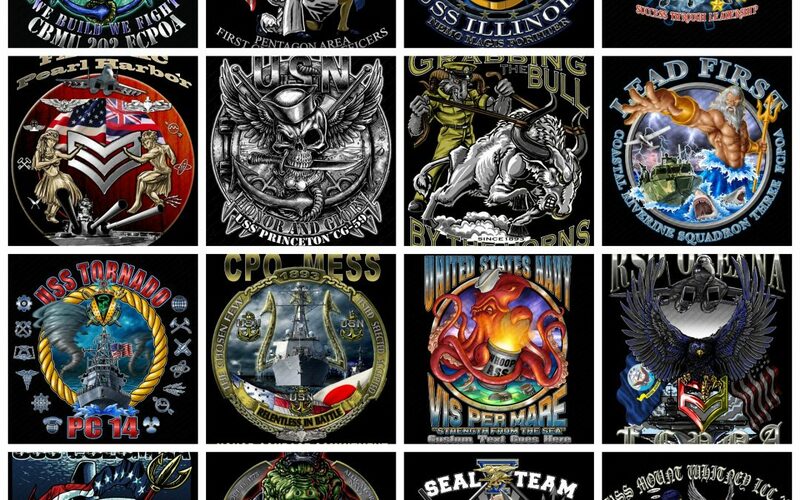 For over 8 years the military art and design team of vision-strike-Wear.Com has been one of the leaders when it comes to design for the First Class Petty Officers Associations of the United States Navy. The President, Vice-President, Treasurer responsible for their associations have the responsibilities for leading these informative and leadership oriented groups of US Navy Sailors. Here ideas, questions and most importantly answers comes from the collaboration of years and success as these experienced E- ‘s prepare for advancement into US Navy Chief Petty Officers. FCPOA Shirts. Absolutely. Every small to very large FCPOA has shirts for their dues paying members and for many years the FCPOA shirts for the US Navy came from Vision-strike-wear.Com. Some of the FCPOA shirts created over the last few years are displayed below. First Classes Petty Officers are proud of their Crows and they should be. 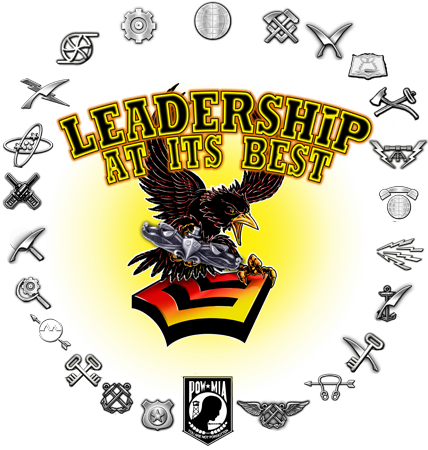 Some have earned the wearing of gold chevrons, others red but overall these accomplished leaders know a good shirt design when they see one like the Crow and chevrons FCPOA shirt seen below. It has been a pleasure to custom design for the the United States Navy and over the course of 2014 we have been honored to have worked with a variety of CPOA’s, FCPOA’s, SCPOAs, SCAs and USN Commands all over the world, warships of the line, Naval Air Stations, VBSS Teams, SEAL teams, Navy Seabees from Gulfport, MS and around the world, deployment designs for US Navy personnel serving in remote destinations from Souda Bay to Andros Island, Bahamas. This year has been filled with with colorful and detailed designs and motivational pride building custom US Navy designs which Vision-Strike-Wear.Com has been excited to participate with these incredible units on. 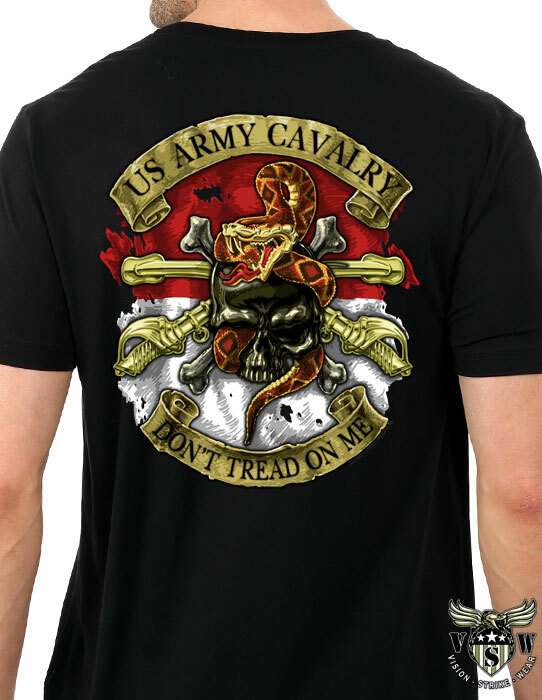 Nothing is more fun than participating in the creating of custom shirt development for our men and women in uniform. The following designs were created for the United States Navy and its associations and commands. United States Navy JB San Antonio US Navy shirt design for Christmas fundraising. The United States Navy custom shirt design for Andros Island, Bahamas. 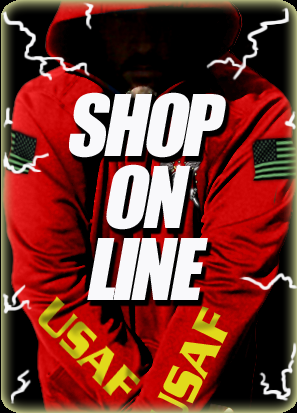 Received a call from the unit less than 24 hours later that they completely sold out of their first custom US Navy shirt order and needed to place a brand new order. 24 hours old and sold out! The USS Leyte Gulf, CG Quid and First Class Petty Officer Association design created for the crew on this amazing warship. We Rise Above the Rest To Keep The Fleet At Its Best! A US Navy Custom Military Shirt design. USS Halsey Heavy Damage custom Arleigh Burke design for the Tin Can Sailors aboard this amazing US warship! FACSFAC Custom US Navy shirt design for their FCPOA! CPO 365 Norfolk, Virginia ushers in the brand new Navy Chief Selectees with this custom US Navy shirt design. NAS Corpus Christi and the First Class Petty Officer Association requested this custom Navy design from Vision-Strike-Wear.Com. 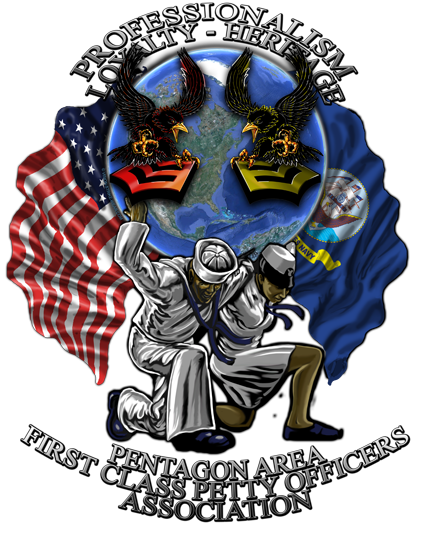 The FCPOA USN Custom design for the crew aboard the USS Princeton. Popeye Tin Can Sailor All Men AAre Created Equal Then A Few Become Destroyer Sailors custom design for the Tin Can sailor Association. 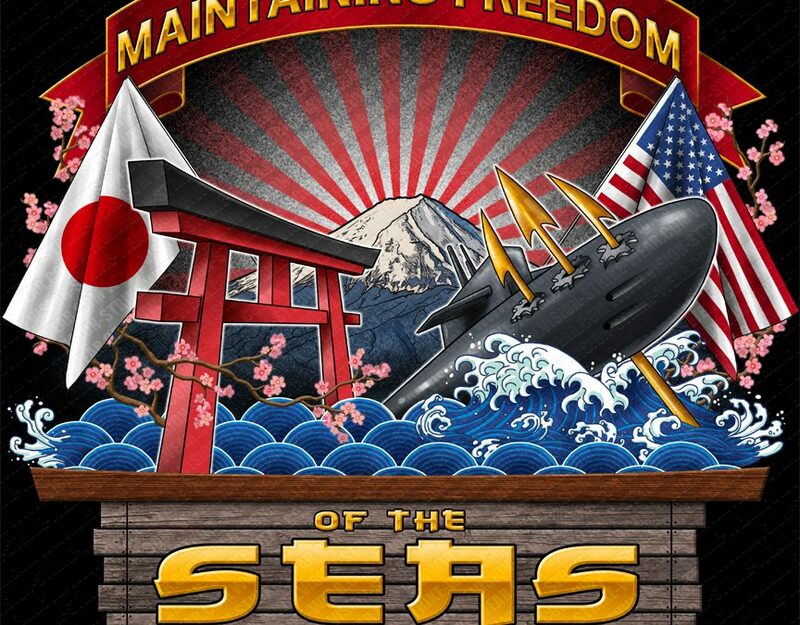 Part of a collection of custom Tin Can Sailor designs that has spanned over 4 years of US Navy shirt creativity that has fostered one of the strongest and msot successful relationships between the Tin Can Sailor Association and Vision-Strike-Wear.Com. Each year VSW Donates a design to this wonderful organization in support of their fundraising efforts which has cultivated into thousands of sales over these many years. This Popeye shirt design is licensed and approved by King Features, the license and trademark holder of the Popeye brand with whom Vision-Strike-Wear.Com proudly has the license for. It is a pleaure to work with King Features bringing new Popeye designs to the forefront. Not every design VSW creates becomes a custom US Navy shirt. Sometimes they become pins like the one displayed above created for the Tiger Cruise for the sailors, family and frinds of the USS Bataan during their Tiger Cruise. The Airwolves of HSM-40 received this custom United States Navy shirt design for their FCPOA! The Seabees of Construction Battalion Maintenance Unit Two Zero Two and their FCPOA received this custom US Navy shirt. Navy Munitions Command Detachment Bahrain! 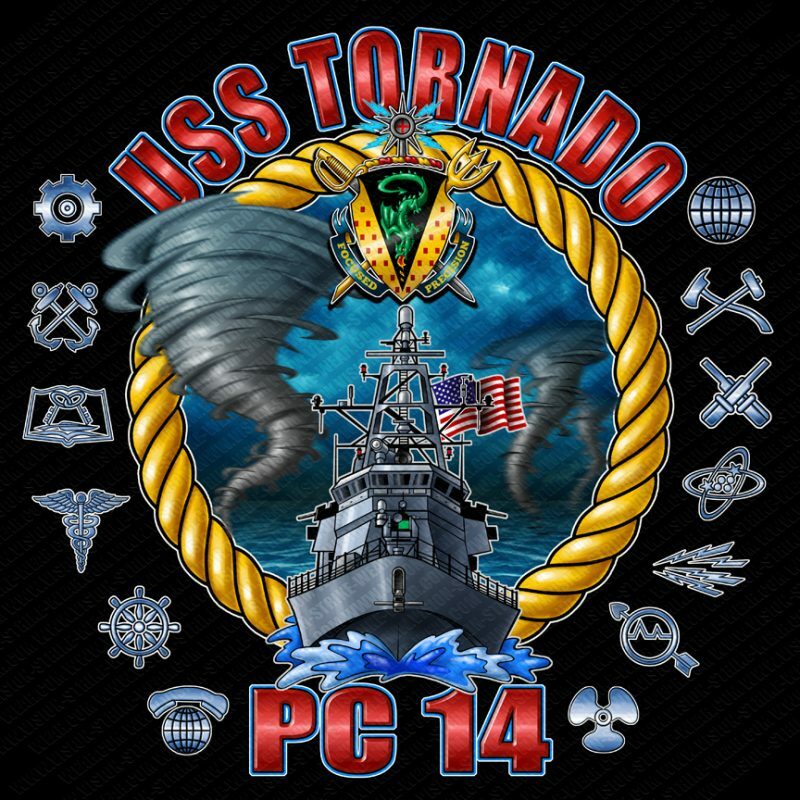 The Logisitics Specialists, Gunner’s Mates and Yeoman of the US Navy participated in this custom USN shirt design for their unit. Logistics Task Force or referred to as LTF-5 was a custom Navy design requested by the this amazing group stationed in Qatar. A sketch created for the 1st Classes of the United States Navy Naval Weapons Station Seal Beach. The begnning stage of great custom art starts with a great sketch. Color and additional details are added later. US Navy veterans often contact Vision-Strike-Wear.Com requesting a patch be created or design for their motorcycle club jackets. The design above for the USS Lewis & Clark is an example of oneof these custom US Navy designs. A custom USN design for the Second Class Petty Officers of the USS Peleliu. NAVY Coastal Riverine Group TWO-2 design created for their CPO 365 program ushering in a new generation of US Navy Chiefs. A custom US Navy design created for the Aviation Ordnancemen of VFA-213 The Black Lions. IYAOYAS! The US Navy Chiefs and US Marine Corps collaborated on this design for NAVY Center for Naval Aviation Technical Training! Designed for the Chief’s Mess abaord the only US Navy ship named and honored after the US Navy Chief Petty Officer, The USS Chief! VFA-211 FCPOA custom US Navy shirts. Help us reach over 100 custom US Navy designs this year! Please use coupon code unit20 and receive 20% off your next US Navy design and order. Copies in part or whole, reproductions of any and all artwork on this page is the sole ownership of Vision-Strike-Wear.Com. Copying in part or whole or reproduction in any form without the written permission of Vision-Strike-Wear.Com will be pursued to the fullest extend of the law.